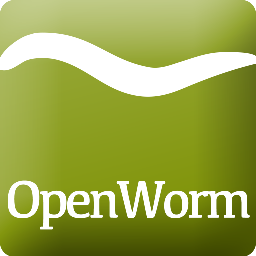 OpenWorm is a fantastic project which it has been my pleasure to work on for two years. In that time I have seen the community go from strength to strength and our prospects of making meaningful scientific contributions continue to grow. It's recently been driven home to me how cautious one has to be when reading articles in the media about science. It all started with a video I released to our mailing list. This was intended as a very early proof of concept - showing that our method of simulating a worm muscular system as blocks of PCISPH contractile matter had the potential to reproduce undulutory thrust - an exciting discovery, but one filled with subtle caveats. A few days later this BBC news article about OpenWorm surfaced. It's fantastic to see how much interest there is in our project, but the article was (while generally OK) inaccurate in a few ways. John Hurliman for instance is incorrectly attributed as project leader (OpenWorm has no "leader") and the project has been going on for much longer than suggested, the scientific claims were broadly correct though. Over time more articles were released, with the claims made becoming a bit outlandish, culminating in this. There were also some really good articles - the one on phys.org being my personal favourite. We have released a blog post addressing our concerns about reporting.